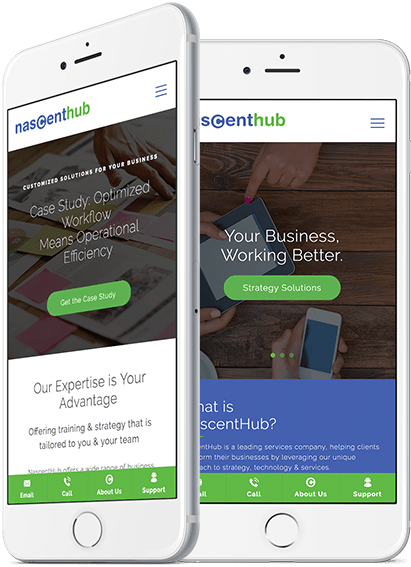 NascentHub came to us in need of an updated website. Their old website was outdated, extremely slow and no longer converting. After an extensive overview of their old site, we found that they had a lot of content without a clear message or focus. Users were getting overwhelmed and were not able to find what they were looking for, therefore leaving the site. After doing some research we found out that there were 3 things users were coming to the site looking for, about the company, industries served & services. We decided to focus on those main pages for the redesign and make sure they were front and center. Now with a simple and clean design we are allowing the prospect to navigate efficiently throughout the site and educate them about NascentHub and their industries.